A key factor in helping the fight against forced marriage is raising awareness and how to spot an individual who may be at risk. With that in mind, the Forced Marriage Unit’s extensive outreach programme delivers no fewer than 100 training and awareness events a year for professionals across the country. The Unit has also developed multi-agency guidance and e-learning to help professionals to recognise the warning signs and ensure that the right action is taken to help protect those at risk. 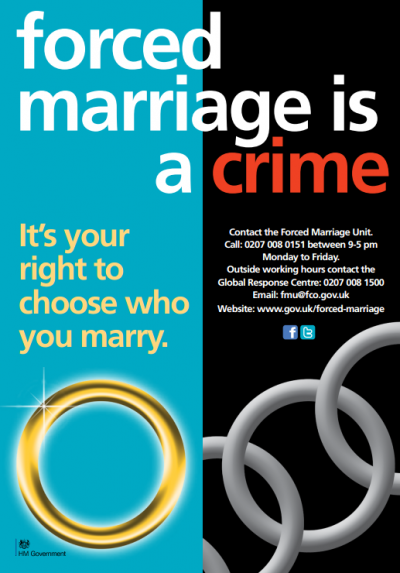 Thanks to the FMU’s hard work, over 1,000 protection orders have been put in place to protect those at risk of forced marriage.